Do I have to put the whole family on one health plan or is there a cheaper option? My wife has had hip problems since giving birth to our twins a few years ago. We've all been on quite an expensive private health insurance plan since - to ensure that my wife has the right cover for hip treatment in hospital. I don't think we can all afford to continue on this plan for much longer? Do I have to put all my family on the same plan? Not at all - often it doesn't make sense to have all the family on the same level of cover. Everyone (adults and children) have different requirements and you should select a plan for each person reflecting their needs only. Ideally, you should be splitting your cover - which usually means putting the adults on a plan with higher cover for the children. For example, many insurers offer child cover free or give discounts of up to 50pc. In other words, you can have all the family on one policy but on different plans. Sometimes, it makes sense to split the family cover across two insurers to secure the best offers. I bought private health insurance for the first time a few months ago. Does that mean that I have to go to a private hospital all the time and use my cover? No, you don't as you are still entitled to go public and use the State services like any other citizen. Your health insurance is your own business and it's your decision to go private or not. Many consumers still go public and resort to their private cover only if they are faced with a waiting list or if they want to access a specific private hospital or consultant. Don't let anyone force you to use your cover unless it suits you. Unless you have a medical card, you will be charged €100 in A&E or €75 per night - to a maximum of €750 per year if you are admitted to any public hospital. If you have health insurance, you will be asked for your membership details so the hospital can claim from your insurer. Increasingly, those with private health insurance using public hospital services as public patients are being asked to sign forms waiving their rights to be treated as public patients. By doing so, you will still receive the same treatment but your insurer may be charged €813 for every night you're either on a trolley or in a public bed. Next time you're asked this question, tell the hospital you'd be delighted to sign the form but only when they come back to you with a semi-private or private room. I'm not entirely sure where I stand with insurance cover while I'm on holidays - if I have health insurance, do I still need travel insurance? The answer is yes as you really can't have enough cover when you're travelling abroad. While most of us will never need to see a doctor, accidents do happen and children especially do fall ill. Because insurance can often include myriad terms and conditions, it is best to phone your health insurer and travel insurer and ask them a few simple questions such as: are there any pre-existing exclusions on the policy? ; is there an excess that you need to be aware of? ; what number do you call in an emergency - you don't want to be searching for this at 2am in a foreign hospital; does the policy cover just hospital admissions and not accident and emergency? And so on. You wouldn't go into a hospital in Ireland without checking your cover and the same should apply before you travel. 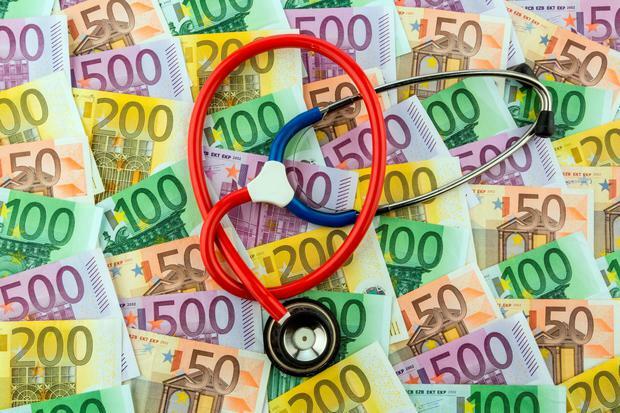 Most health insurance policies include between €55,000 and €100,000 worth of 'emergency cover while abroad'. Many consumers rely on this instead of taking out full travel cover. If your medical costs exceed these limits, then you are personally liable for the difference. Some health insurance policies have no cover for foreign travel at all. Also, anyone with a pre-existing medical condition needs to be very careful. If you don't have health insurance, many travel policies will exclude any conditions that have been treated in the past 18 to 24 months. If you travel abroad against medical advice or specifically to get certain medical treatment, you may not be covered at all by your policy. I've always had health insurance on my family's health insurance policy but, at 31, I figure I really need to get my own cover! I'm just wondering what types of benefits I should be primarily concerned with - am I just really looking for good hospital cover? There is more to a health insurance policy than just hospital cover alone. Failure to familiarise yourself with all aspects of the cover could lead you to miss out on valuable benefits. For example, many of these new corporate plans now automatically include day-to-day cover. This refers to guaranteed refunds on a whole range of everyday medical expenses such as GP, physiotherapy, routine dental, consultants' fees and so on - with no excess (the first part of a claim you must pay yourself). Many members don't claim from their insurer and claim only tax relief instead. Big mistake! Most policies give up to 50pc refunds, with some of the latest corporate plans paying between 75pc and 100pc for certain expenses. So it's definitely worth keeping those receipts and always claim from your health insurer first, then include any shortfall in your tax return. There is generous maternity cover on most policies. This will normally cover up to three nights privately in a public hospital - which is equivalent to over €3,000 in benefit. When you factor in contributions towards the consultant's fees and other ancillary benefits, the total benefit can exceed €4,000, or more if the member needs a Caesarian section. Psychiatric illness is not something that's often talked about as a 'benefit' of having health insurance. For those who need private treatment in facilities such as St Patrick's, St John of God's or Highfield Hospital in Dublin, all mid-level health insurance policies cover a minimum of 100 days treatment per annum. Given that many treatment programmes last at least 30 days, this is essential cover should you need it. Cover for alcohol or other substance abuse is also included on most policies subject to terms and conditions. Many people will need an MRI at some stage in their lives. These can cost from €200 to €500. If you go to an MRI centre listed in your policy, your scan should be fully covered. Most scans are covered on a direct-payment basis, which means you just show your membership card and the insurer looks after the rest. Most policies include emergency cover abroad of up to €100,000 per trip. While this is not a substitute for proper travel cover, it does give you some protection if you get sick or have an accident while on holiday.